Time for another cheeky roundup… this time it’s Benefit. 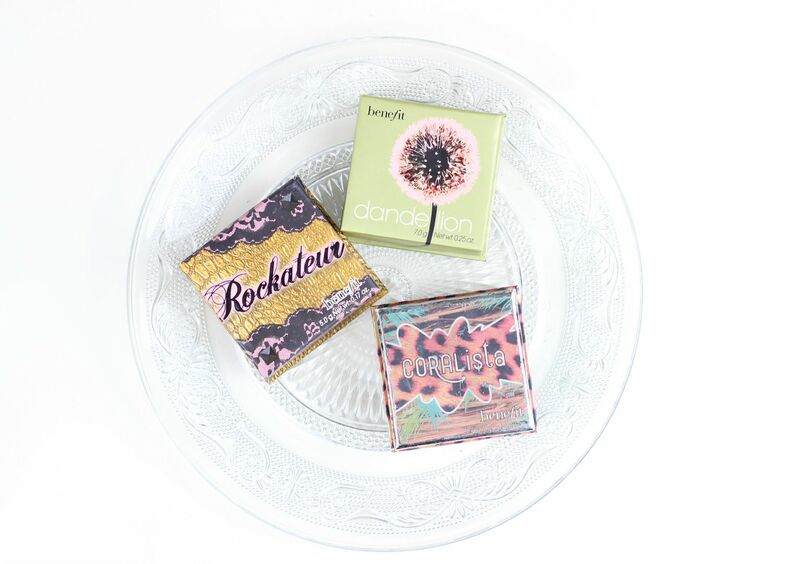 I hardly ever to seem to mention Benefit on the blog, but I do really like their mascaras and their blushes. My favourite of the bunch… Coralista. If you want the best coral blush going, then this is the one. I wear this all the time in summer, and it goes so well with any summery makeup. I remember wearing it to work (when I used to work at weddings at Uni) ages ago, and seeing my reflection in the mirror when I was wearing it and thinking yes. Yes, this blush. The box on this one is a bit battered now, and I’m dangerously close to hitting pan. If Coralista is for summer, then Rockateur is the perfect autumn and winter blush. It’s like a mauve-rose gold. It’s not too pink or too dark or anything, but it just looks like your skin is really healthy. It has a really soft finish and blends so well – I love this one. I remember I dragged Chris to Swansea to buy it on launch day and was looking at it all the way home. The winner of the nicest milky pink… Dandelion. This one is described as a ‘brightening face powder’ but on me it looks like a cool-toned pink blush. It’s pretty subtle on the skin, so is one I would recommend to everyone with really pale skin. Something so gorgeous about a cool toned pink on pale skin. I love it. 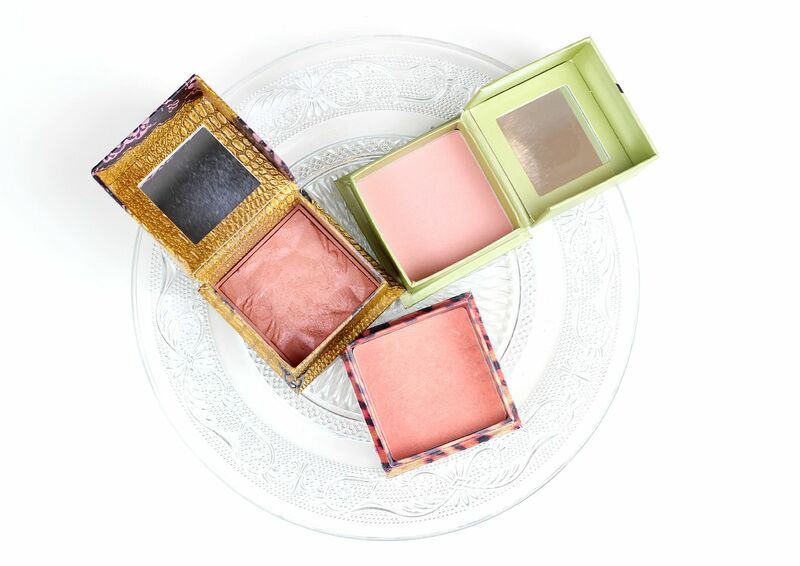 Have you tried any of the Benefit boxed blushes? The Hourglass Ambient Lighting Edit.